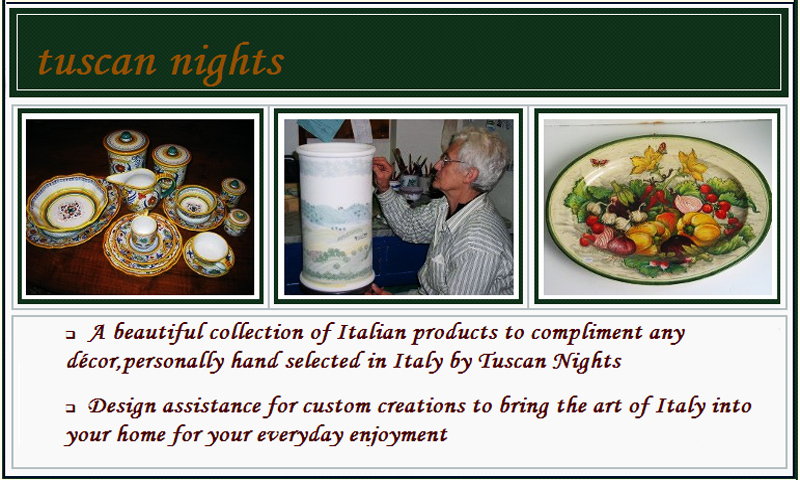 TUSCAN NIGHTS & FATTORIA DI FELSINA!! Drop by to meet Karen Fast, Bend-based Italian pottery & ceramics importer who will be displaying and selling her wares - we’ll also be tasting 3 wines listed below (a must read) from the renowned Chianti Classico producer, Fattoria di Felsina. A definite way to kick off the impending holidays!!! Many of us in the biz talk about "Death Row" wines. What wine from what particular region would you want to drink if it were to be your last bottle that you could have? Without hesitation, if it were Chianti, Bryan would resoundingly say, Felsina's Chianti wines. Giuseppe Mazzocolin and Franco Bernebei (now semi-retired and succeeded by their next generation involved), the original minds behind Felsina are absolute Sangiovese geniuses. Each and every time we have just about anything from this amazing Castelnuovo Berardenga property, it continually leaves us breathless on how they can actually improve on their already knockout beauty with each vintage. 20+ years of teamwork, experience and certainly the flexibility to keep on being educated by the vineyards is the prime reason. The style here is one of power due to prime plots in Castelnuovo Berardenga. Drop in today, Friday November 30th to sample the following 3 wines from this Tuscan superstar! Felsina’s 2009 is utterly delicious and at 20 bucks, a stupendous value. Fragrant, deep scents of sage, morello cherry, violet and cinnamon stick lead into a texture that crawls through the mouth and is true-to-form Berardenga with its substance, but true-to-form Felsina with class and smoothness. Way above the norm for a Normalé Chainti Classico, this can be had with braised beef or lamb shanks with Tuscan herbs. It will also age well for 6-9 years, too. Felsina's Riserva is simply one of the most beautiful offerings that we have seen in the fine 2008 vintage. Savory and perfumy aromas deliver subtle hints of cedar, thyme, earth, and plenty of chocolate covered red fruit tones. Succulent, deep and very velvety-flavored wine that is complete and shows ample muscle and depth from start to finish. Shows prominent mineral and anise along with a persistent and intense finish. Very likable at this stage, but will age, develop and smooth out even more for the next 10 years as well. This is a true Tuscan gem that anyone who has traveled there and loves these wines should not miss. Drink it now through 2021. First thing y’all must know about Maestro Raro is that it isn’t exactly a toss-off Cabernet that was a one-shot deal, this grape and wine is taken very seriously and quite sought-after. A real treat to be opened, the vineyard source is adjacent to Felsina’s famed Vigna Rancia site and since 1987, this wine has won numerous accolades and is the epitome of what this grape can do in the Chiantigiana. Knockout, deep aromas of plum, boysenberry, roasted earth and red licorice dominate on the nose. Undertones of sage and thyme let you know that it is Italian. Structured, detailed and full but with excellent poise and polish. In the mouth, the red fruit is ripe and somewhat opulent and although the grip is noticeable, the tannins are integrating perfectly at age 6. The Bordeaux inspiration shows in the finish which is very long and expansive but very focused and suave. A red for the table, enjoy now through 2019 with braised pork over fresh parpardelle or a simple grilled steak.